Maybe you’ve seen it on some Indiana Jones film or some other movies. 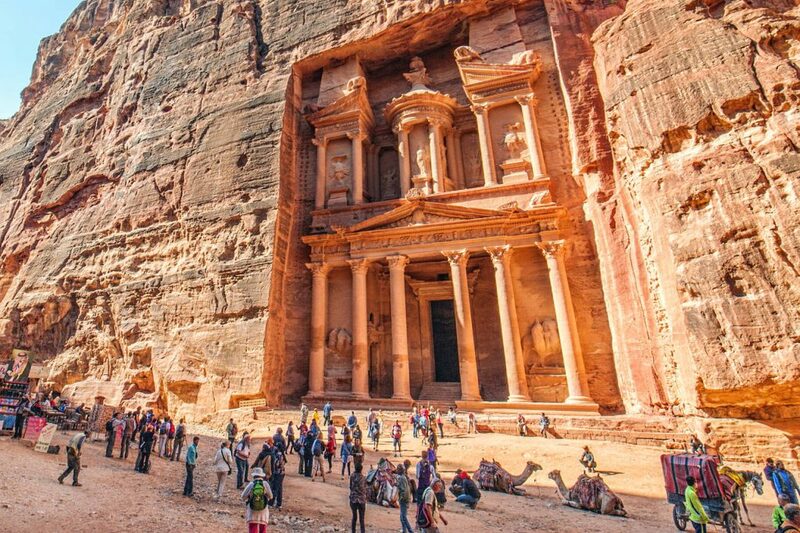 But you ain’t seen nothing if you don’t visit the ancient Nabataean city of Petra, which was recently voted as the seventh wonder of the ancient world with over 100 million votes placed, according to the nonprofit organization New7Wonders that conducted the poll. In 1985 the area was designated a World Heritage Site. “One of the most precious cultural properties of man’s cultural heritage.”, that’s what UNESCO described the magnificent place. 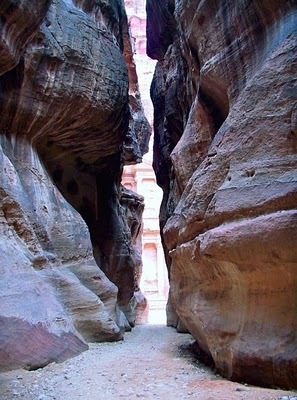 Also Petra was chosen as one of “the 40 places you have to see before you die” by BBC. If you are interested in specific details, you can find them throughout the official Nabataea web page. You can move through the city or read about the ancient Nabataean people who built Petra, the amazing merchant empire that impacted much of the world from China to Rome. The builders of the tombs were Nabataean sculptors and not imported slaves or laborers, which can be seen from the inscriptions. The Nabataean people transported their dead to the tombs for proper burial. Most likely Nabataean religion and culture encouraged people to think of them spending eternity along side of their relatives and family. 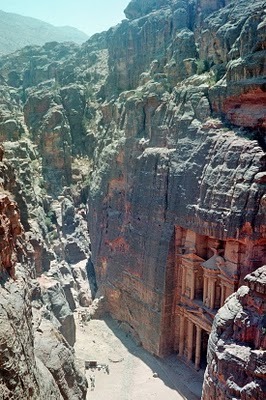 To sustain the ancient genuine feeling of Petra, after the bitter complainings from former Queen Noor of Jordan that luxury hotels began to proliferate and uncontrolled development was devastating to the area, today building is more sensitive, controlled to the environmental consequences of over-development. 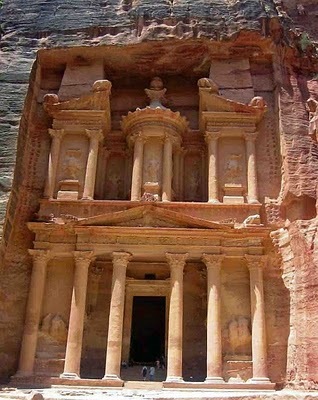 Best time to visit the ancient Nabataean City of Petra for nice a holiday is between January to the end of May, when the weather is at its best, although by May it is starting to get quite hot and from June until September tourists from northern climates will torment in the broiling hot weather. Still, if you decide visiting the ancient Nabataean City of Petra during these months it is absolutely essential to carry a large supply of water with you! November and December are the coldest months, especially at night. If you have raced round Madaba, „done“ Amman and wondered at the magnificence of Wadi Rum you must stay longer in this ancient place only rediscovered in 1812 by the young Swiss explorer Johann Ludwig Burkhardt – Petra’s Nabatean Treasures demand and deserve attention. You can arrange your staying at a hotel in Petra already from the the visitor centre, but if you want the best for you, book your tour and hotel before you go, all you need is just some fastcash and go there. Hire a local guide, or if you don’t want stanger with you, get a good guide book to allow two or three days to see as many of the sites as possible. If the legs are getting tired or if you just want a more extraordinary expirience, you can hire donkeys, horses and camels.